* I received complimentary tickets to the Harlem Globetrotters in San Jose in behalf of US Family Guide to facilitate this post. However, all thoughts are my own. 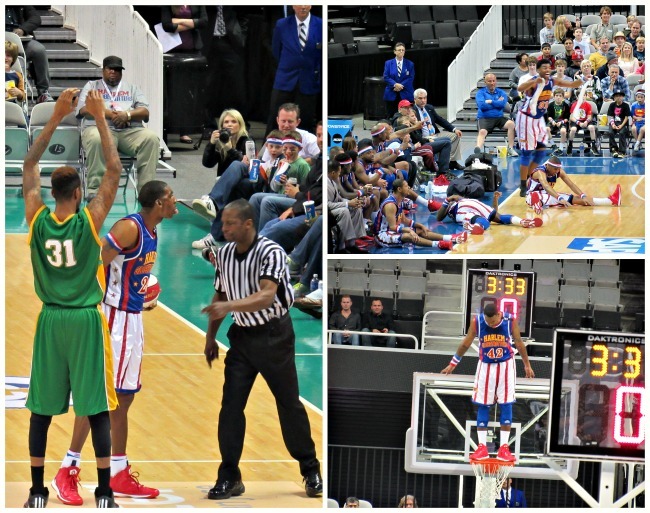 I have heard a lot of fun and nice comments regarding the Harlem Globetrotters games or should I say "performance". 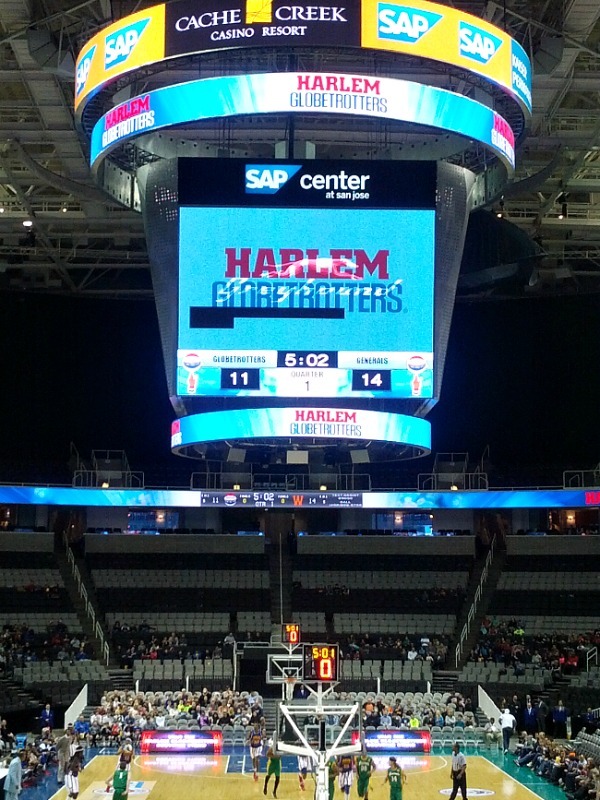 We watched the Harlem Globetrotters 2015 World Tour in SAP Center in San Jose during the opening night. I was able to see a lot of kids thrilled upon entering the arena.That was actually my first time to watch them and after I h've seen some friends post their Harlem Globetrotter photos in Facebook, it made me all the more excited to witness it for myself. The Harlem Globetrotters began in 1926 as the Savoy Big Five. Now more than 85 years and 20,000 games later, the team has become one of the most recognizable franchises in sports. This interactive timeline will take you through some of the biggest moments in Harlem Globetrotters history. The Harlem Globetrotter are most famous for their trick shots, acrobatic stunts, superb performance dunks and funny antics during a game. There was one member who keeps on putting up an argument with the referee, one who took off his "stinky" socks and one who climb up the goal and in some point was pretending to lose balance and threatened a fall which made the crowd shout with fear (as shown in the photo below). But don't worry because these are all part of thbeir "play". 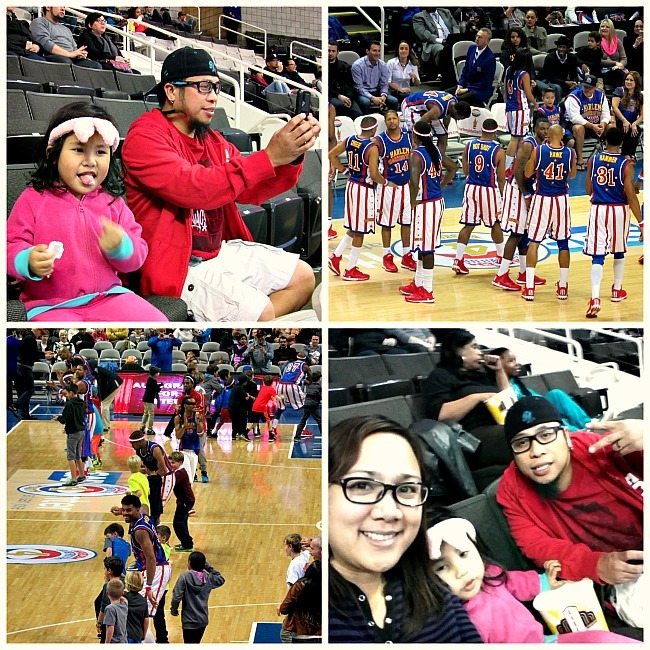 We were given good seats, enough to see the highlights and activties in the court, that includes the half time activity wherein kids were invited to the court to engage in a fun activity with Harlem Globetrotters. One highlight of the game was the appearance of the Harlem Golobetrotters' mascot, Big G! You can attest how everyone was enjoying the game/performance by the simultaneous laughter from everyone every time a stunt, trick or antic was performed by a Harlem Globetrotters member. I also commend them for being so professional in what they do, their skills were undeniably excellent. I guess this is something that the kids with inclination most especially to basketball will appreciate and will be inspired with. One thing good about the Harlen Golobetrotters is that they are connected to good works. 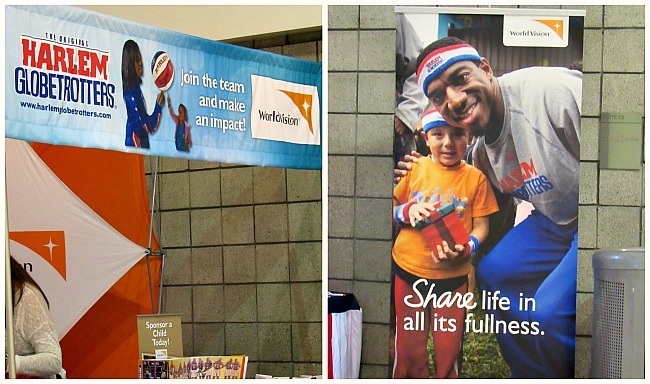 World Vision is the Official Charitable Partner of the Harlem Globetrotters, which means that a portion of what they earn goes back to help put a child to school. Pretty cool! And so I would definitely be going back to a Harlem Globetrotters game next year!